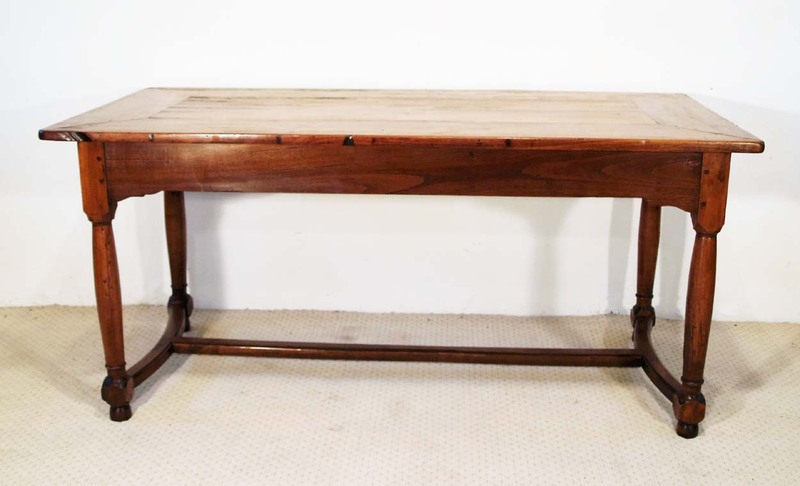 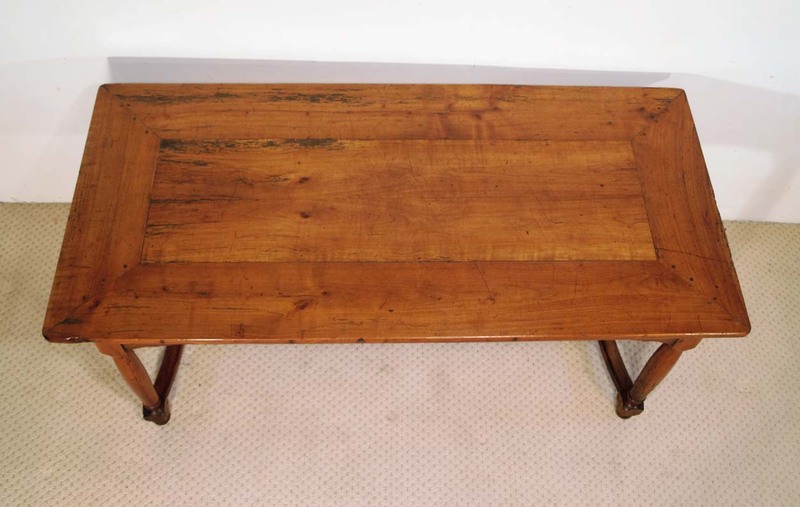 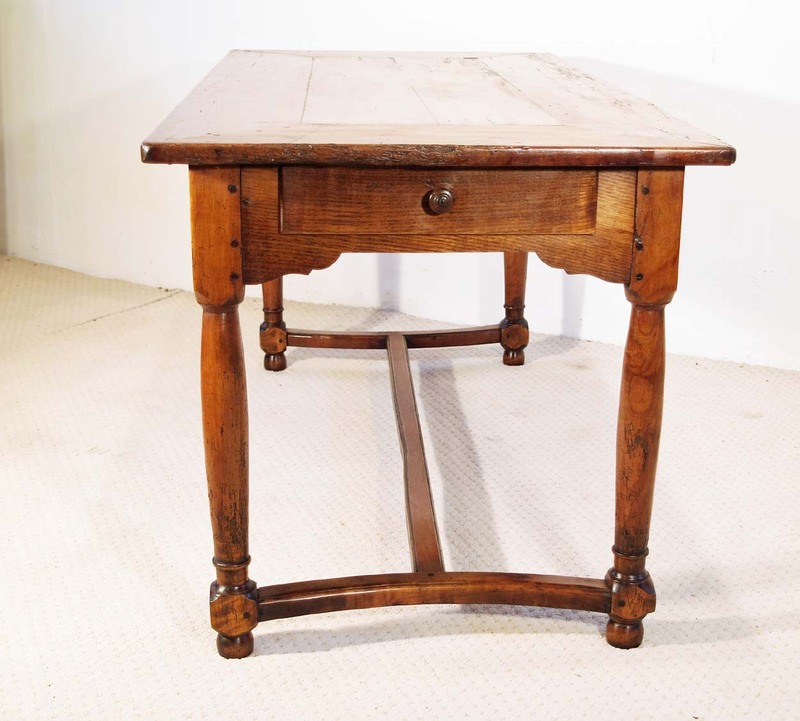 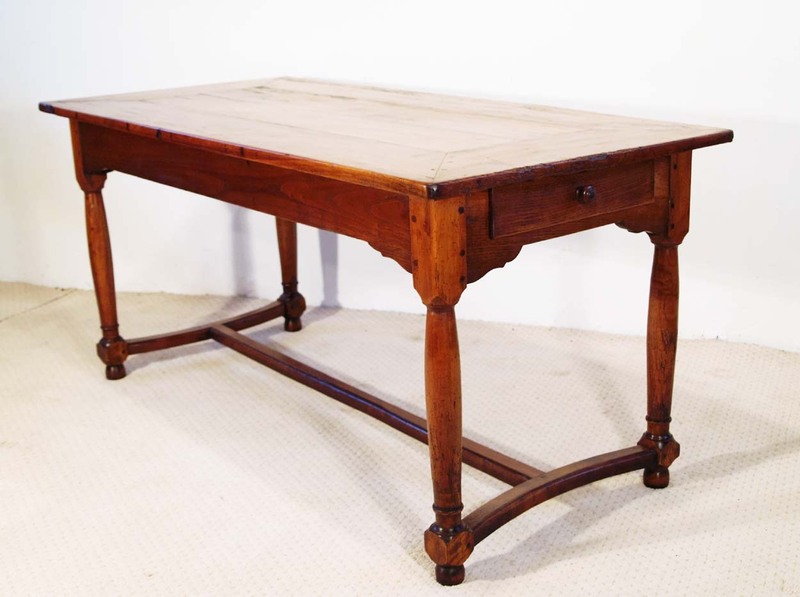 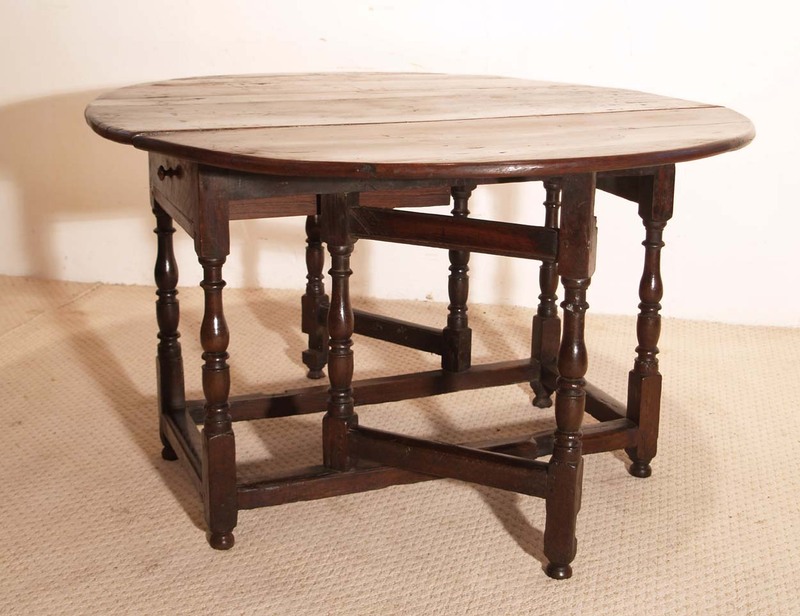 An unusual French antique cherry farmhouse table, originating from the Bourgoigne region of France, C 1790. 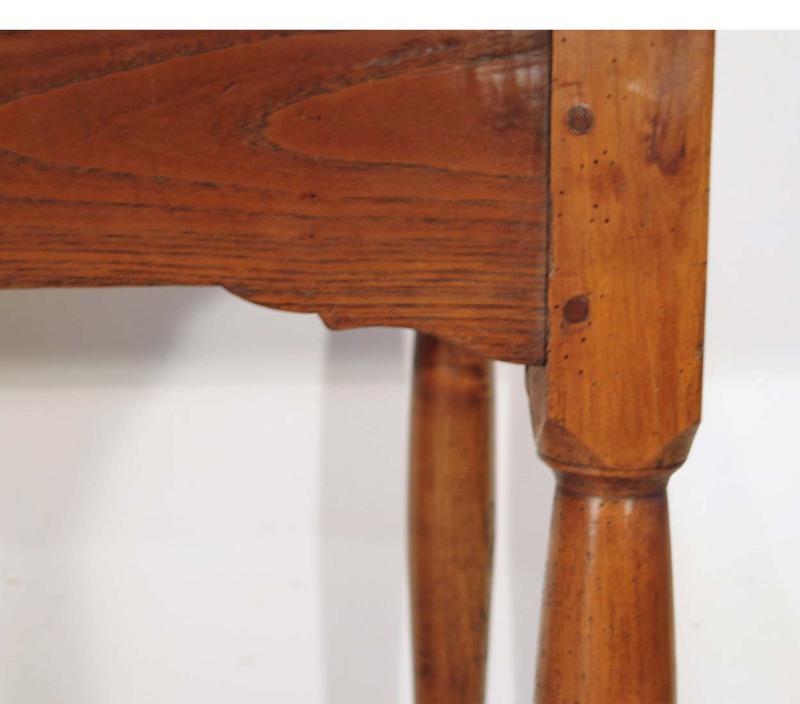 The top is in cherry with a mitred construction “coup onglet”, with the centre planks being book matched, in order to give it symmetry. 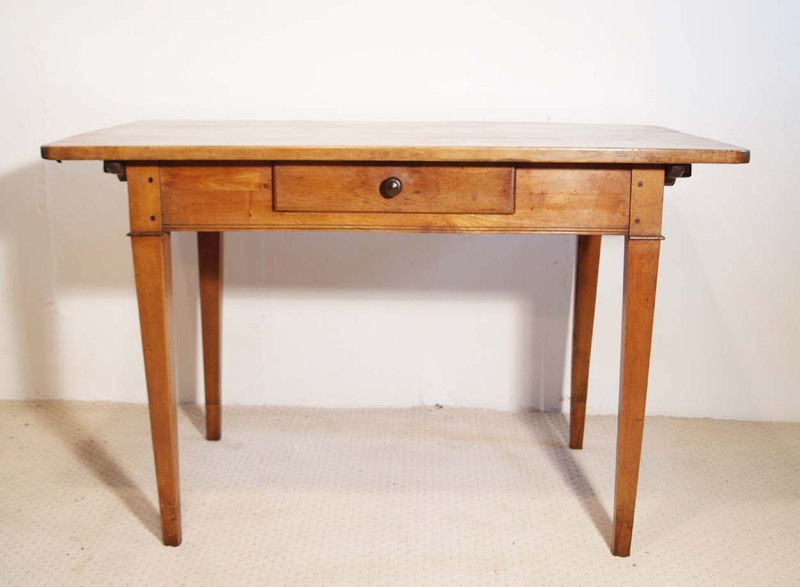 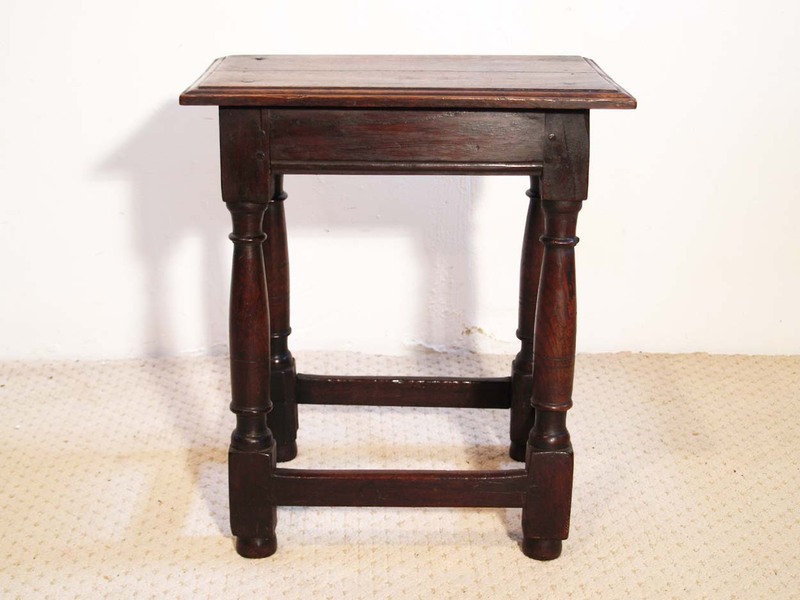 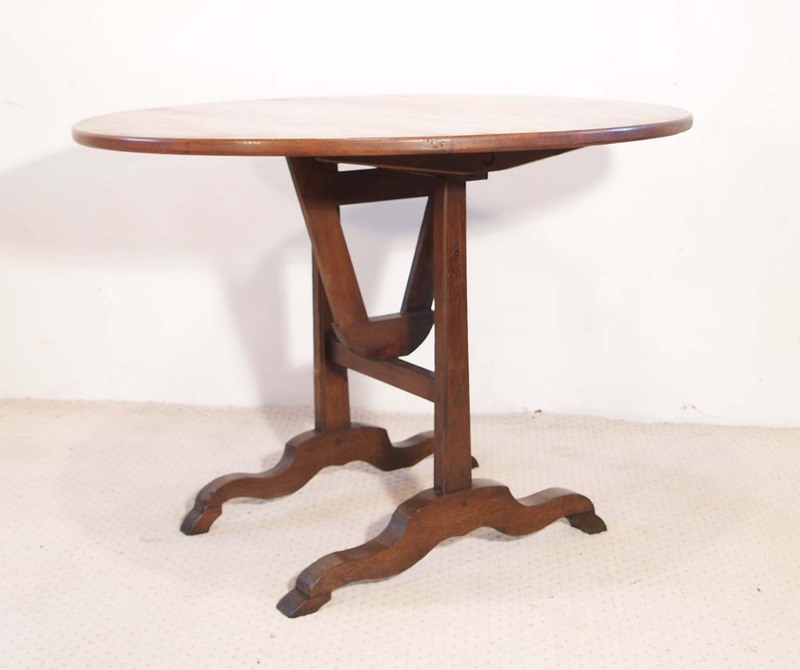 The base has a bracketed frame of chestnut, which incorporates an end drawer and sits comfortably on an early style of turned legs, denoting the slightly “Flemish” style, often originating from this region of France. 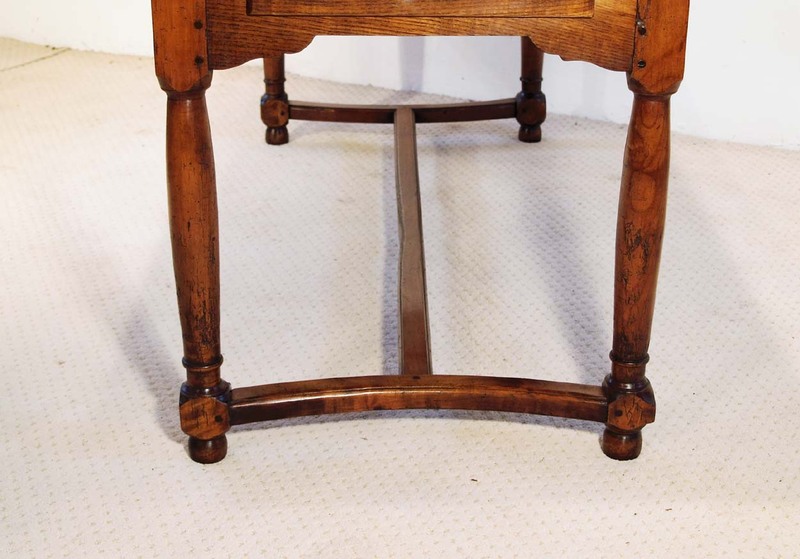 The crinoline stretchers,are most different to the usual “H” stretcher arrangement found on tables built around this era and as a result make this piece, somewhat unique. 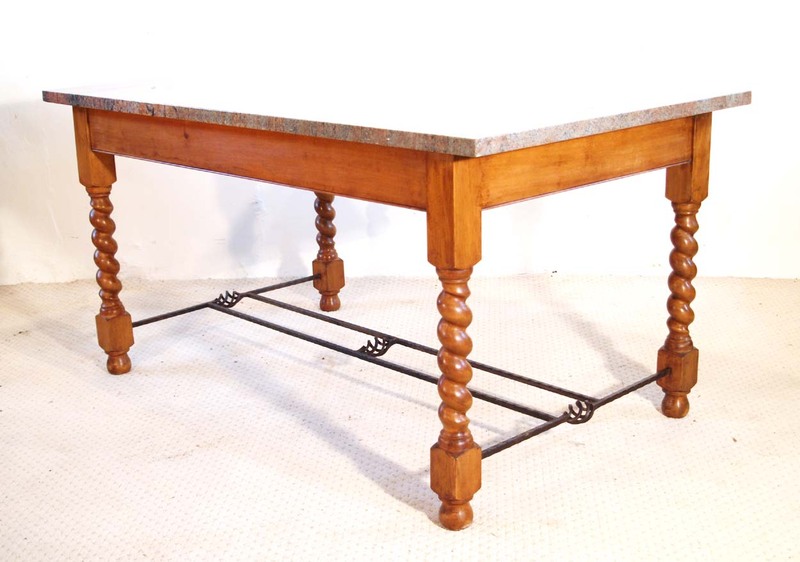 Dimensions: 164 ( 64.5″)long x 77.5 cm ( 30.5″ ) wide x 76cm (30”) height.